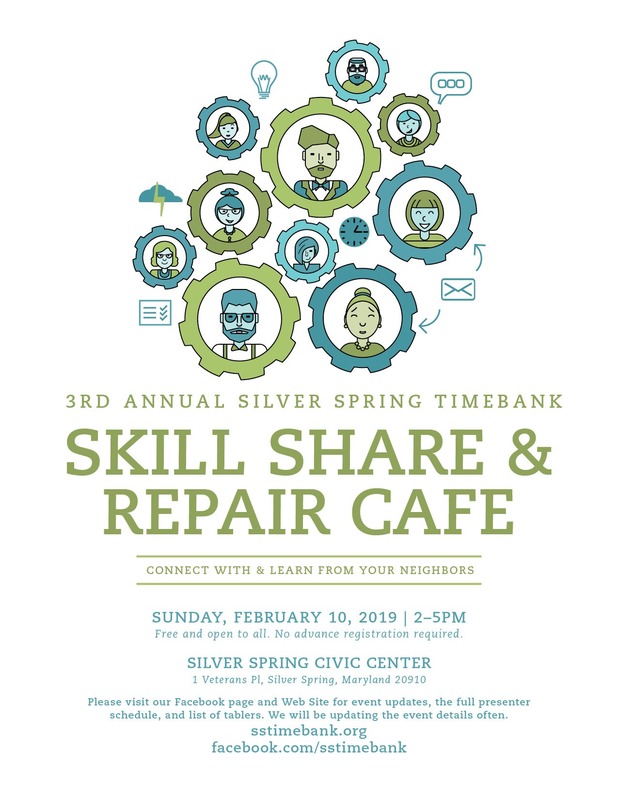 The Silver Spring TimeBank (SSTB) is hosting its third Skill Share and Repair Cafe on Sunday, February 10 from 2-5pm at the Silver Spring Civic Center. It is free and open to the public. This is entirely volunteer-run by members of the SSTB. Continuing to build on the success of our swapping event series (Clothing Swap, Book Swap, Toy Swap, etc,), this SSTB event is a showcase to the entire community of the talents and skills that Time Bank members have to offer. We hope you will be inspired to join the SSTB, but no pressure! We just want you to enjoy yourself, connect with the community, and learn something new for the New Year!!! 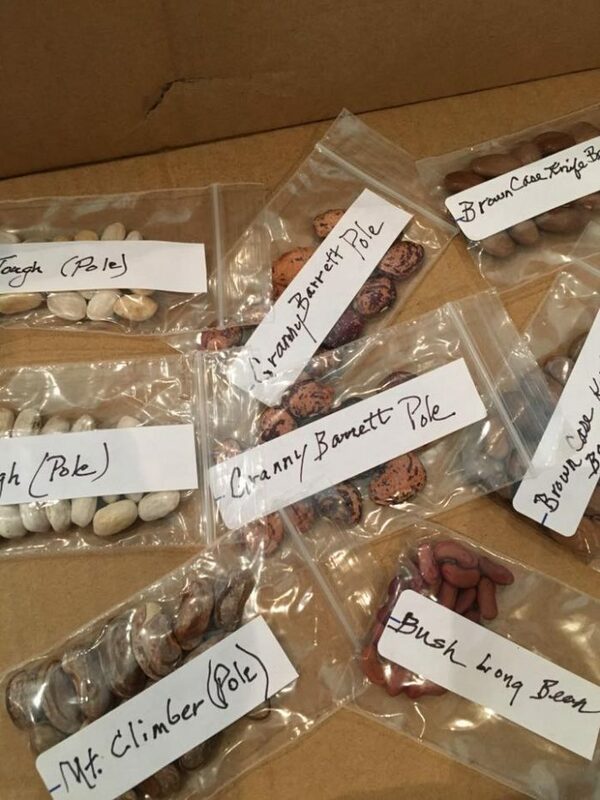 Skill Share topics will include Organizing, Knife Skills, etc. Repair tables will include Bike Repair, LINUX computer operating systems, etc. You can pop in for one or two talks and visit a few ask-the-expert/repair tables or stay for the entire event to absorb it all. A complete schedule will be posted to this Facebook event page, social media, and web site around Jan 25th. Check back on this page for regular event updates. The Silver Spring Civic Building is at the corner of Fenton St & Ellsworth Dr. It is an eight minute walk north from the Silver Spring Metro Station. Many bus routes can take you to and from the building — Metrobus F4 and Ride-On #16, #17 and #20 pass by on Fenton St. Metrobus J4 and Ride-On #15 and #19 stop at the corner of Wayne Ave & Fenton St. Metrobus Z6 and Z8 and Ride-On #9 and #12 stop nearby along Colesville Rd. The Metrobus Q and Y lines stop on Georgia Ave and Wayne Ave. If coming by car, plentiful free parking is available at the Town Square Garage just across Ellsworth Drive from the Civic Building. Do NOT park in the Whole Foods parking lot or you risk being towed.